I will receive students on Thursday April 18th instead of on Wednesday April 17th, at 10.00. 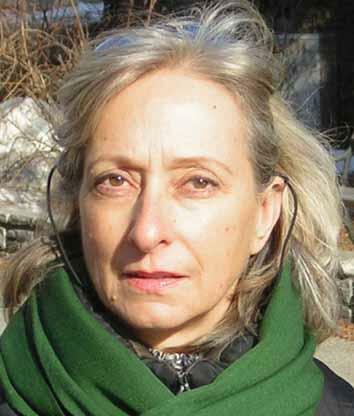 Lucia Colombo is Full Professor at the Department of General Psychology of the University of Padova. - Representation and processing of regularity in language. - Role of orthographic, phonological and semantic factors in reading and spelling of deaf individuals. 2005- Visiting Professor University of Essex, UK. Annual Grants from the University of Padova (ex 60%). Occasional reviewer for: JEP:HPP; JEP: LMC; Journal of Memory & Language; Memory & Cognition, Quarterly Journal of Experimental Psychology, Visual Cognition, Scientific Studies of Reading. Colombo, L., Navarrete, E. & Arfé, B. (2016). Acquisition of nouns and verbs in Italian pre-school children*. DOI:10.1017/S0305000916000593 Journal of Child Language, 44, 1362-1393. Arciuli, J. & Colombo, L. (2016). An acoustic investigation of the developmental trajectory of lexical stress contrastivity in Italian. DOI:10.1016/j.specom.2016.03.002. Speech Communication, 80, 22-33. Colombo, L., & Sulpizio, S. (2015). When orthography is not enough: The effect of lexical stress in lexical decision. Memory & Cognition, 43, 811-824. Sulpizio, S., Burani, C., & Colombo, L. (2015). The process of stress assignment in reading aloud: Critical issues from studies on Italian. Scientific Studies of Reading, 19, 5-20. Deguchi C, Boureux M, Sarlo M, Besson M, Grassi M, Schön D, Colombo L (2012). Sentence pitch change detection in the native and unfamiliar language in musicians and non-musicians: Behavioral, electrophysiological and psychoacoustic study. Brain Research, vol. 1455, p. 75-89. Colombo L, Deguchi C, Boureux M, Sarlo M, Besson M (2011). Detection of pitch violations depends upon the familiarity of intonational contour of sentences. Cortex, vol. 47, p. 557-568. Peressotti F, Colombo L. (2011). Reading aloud pseudohomophones in Italian: Always an advantage. Memory & Cognition, vol. 40(3), p. 466-482. Colombo L, Arfe', B, Bronte T (2011). The influence of phonological mechanisms in the written spelling of profoundly deaf children. Reading & Writing, vol. 25(8), p. 2021-2038. (2010). Pre-attentive and attentive processing of French vowels. Brain Research. vol.1366, p.149-161. Colombo L.; Fonti C; Stracciari A (2009). Italian verb inflection in Alzheimer dementia.. Neuropsychologia. vol.47; p.1069-1078. Marcolini S, Burani C, Colombo L (2009). Lexical effects on children's pseudoword reading in a transparent orthography. Reading & Writing, vol.22, p.531-544. Colombo L, Fudio S, Mosna G (2008). Phonological and working memory mechanisms involved in written spelling. European Journal of Cognitive Psychology, vol.21, p.837-861.